Kingdom Hearts III and Final Fantasy XV don't actually have release dates. Sorry. Over the last few days, rumors about the release dates for two of Square Enix's most anticipated games have been swirling around the internet. The source, it seems, was an internal document indicating that Kingdom Hearts III and Final Fantasy XV would hit retail shelves sometime in 2014. Unfortunately, Square Enix has successfully deflated the rumor. "We're aware an internal document has been in circulation listing release dates for select Square Enix titles," a representative said in an email to The Escapist. "This information contained in this document is inaccurate and features placeholder timing." "Specifically," the message continues, "no announcement has been made to date for Kingdom Hearts III and Final Fantasy XV - their projected release window remains to be advised." It's important to note that Square Enix didn't deny the authenticity of these leaked memos. So, even though the documents utilized "placeholder timing," it would be strange for a developer to use dates that are wildly different from the company's internal expectations. Also, in the case of Kingdom Hearts, a 2014 release date has been tossed around multiple times. 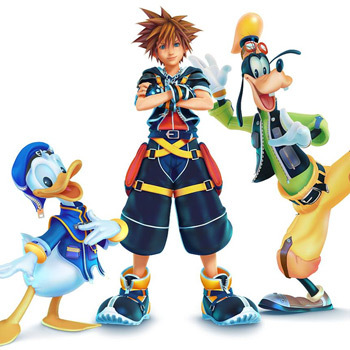 Haley Joel Osment, the voice of Sora, even used the word summer in an interview with zap2it.com. Though, he did cover his bases by saying "summer or later," which is appropriately vague. That being said, Square Enix wants to take its time with these games, and audience expectations are difficult to manage. I, for one, would rather wait for a solid release date, than deal with ongoing delays or never ending patches (I'm looking at you, EA).